While the main storyline for Christmas Day surrounds LeBron&apos;s return to Miami, King James&apos; teammate might have stole the show when it comes to sneaker headlines. 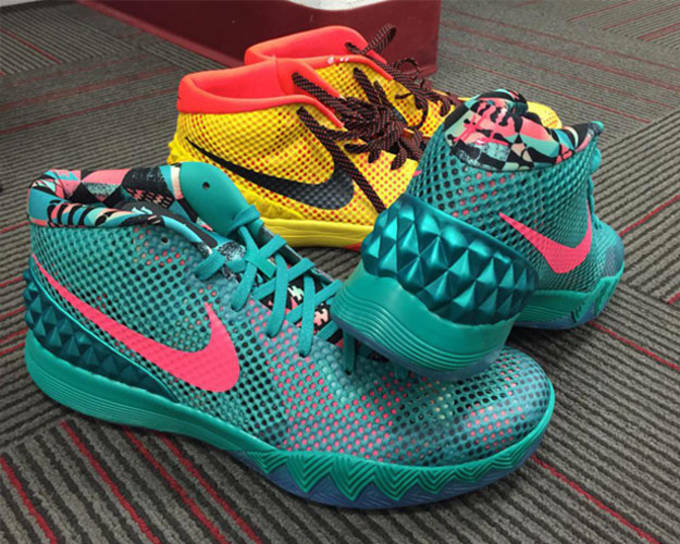 Kyrie Irving gave us a little preview of his Nike Kyrie 1 "South Beach" he&apos;s going to lace up when the Cavaliers take on the Miami Heat today. Done up in the classic colorway made popular by his new teammate, the shoes come with a teal mesh upper, with printed graphics and pink hits along the sock lining, forefoot underlay and the Swoosh branding. Nike finished off the look by hitting the Kyrie 1 with a icy translucent outsole giving a little more pop to the overall look. Check out Kyrie in his first ever signature Christmas Day PE, and let us know how they stack up to others we&apos;ve seen so far today. 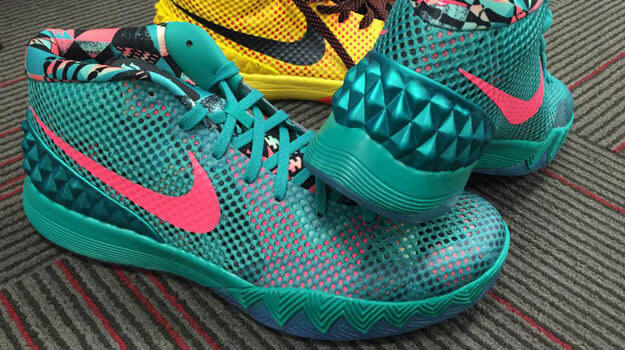 RELATED: Melo vs John Wall: Who’s Christmas Day Shoes Reigned Supreme?